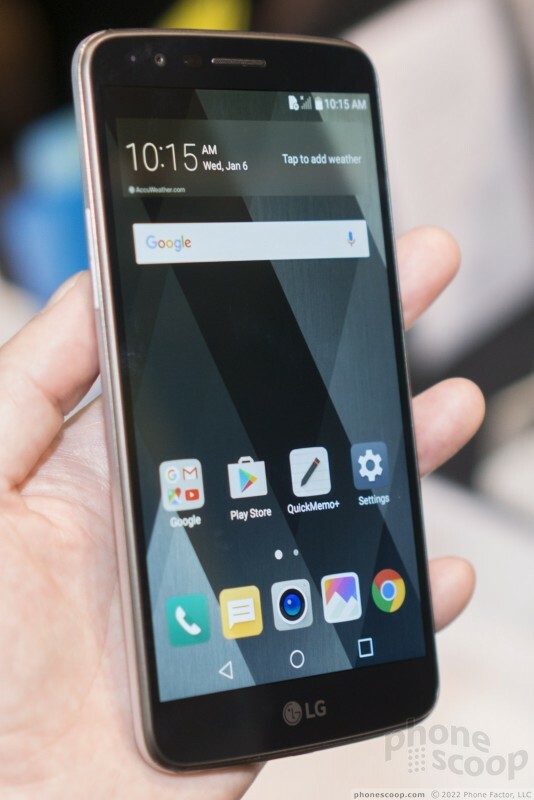 The Stylo series is bright spot in LG's lineup, popular with US carriers and consumers for its value. 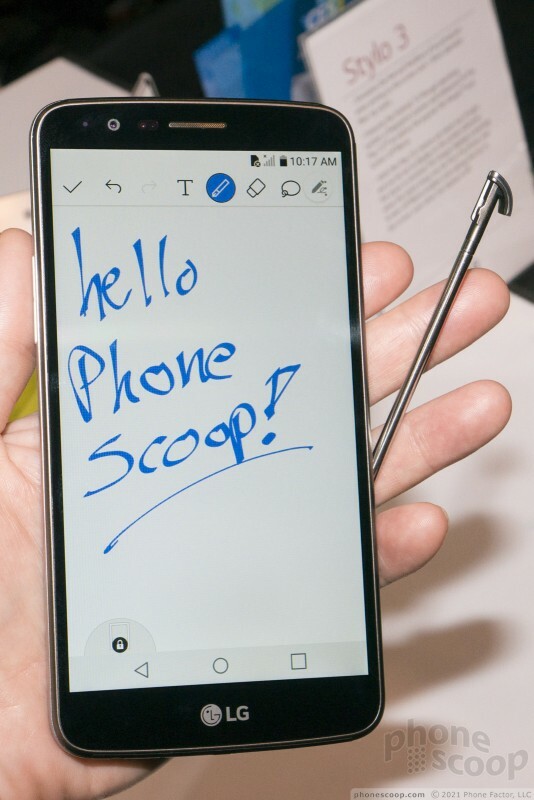 No one else offers a phone with such a large screen, stylus, plus other desirable features, for such a low price. The latest installment is the Stylo 3. Read on for our hands-on first impressions. The Stylo 3 is exactly what it sounds like: a minor update to the Stylo 2. 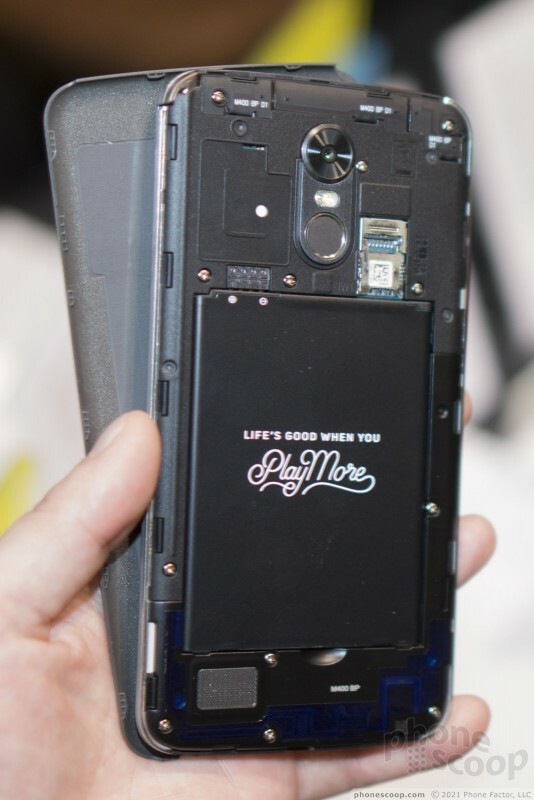 Its base version adds a fingerprint reader. 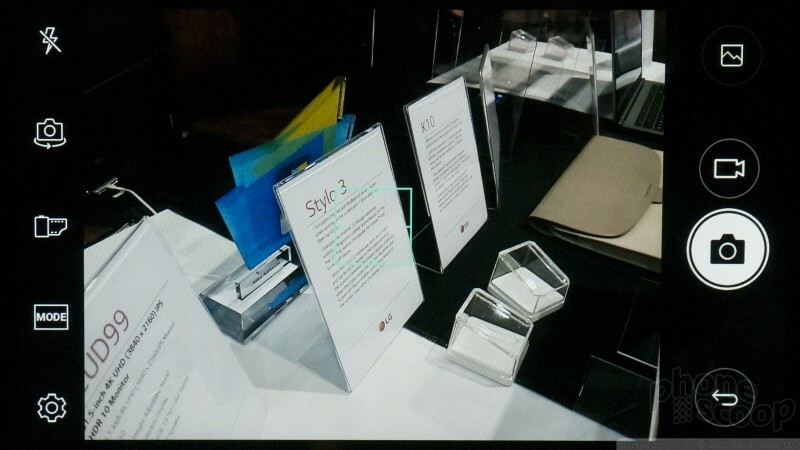 But the Stylo 2 came to the US in several versions with various features, so there's no way to know what specific form this will take when you see it on your carrier's shelves. In some ways, it's a larger K10 with a stylus. In fact, the early version we tried reported its own model name as "K10 Pro". Most of the software is similar, so be sure to check out our hands-on with the new K10. Like the new K10, the Stylo 3 has a lock button on the back that doubles as a small fingerprint reader. However, the volume buttons have moved to the side. These buttons are, unfortunately, small, and difficult to find and use. 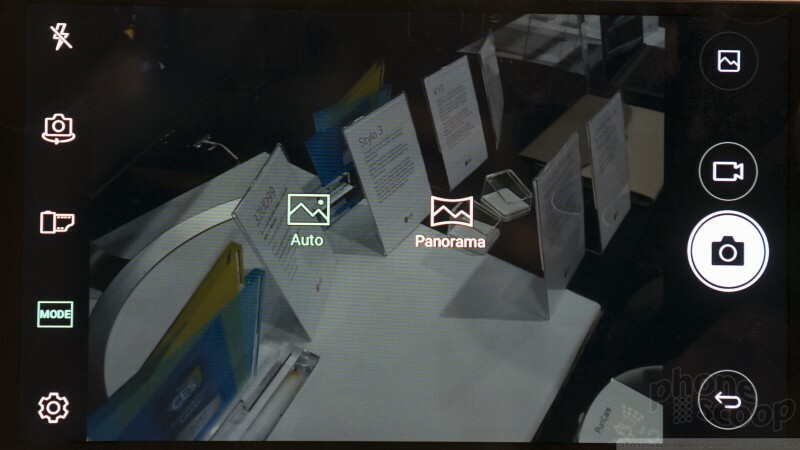 The Stylo 3 is one step above the K-series in features, in that it comes with features such as DLNA media sharing and panorama mode in the camera. Of course it also comes with the Stylo series' hallmark large screen, stylus, and stylus-related software. 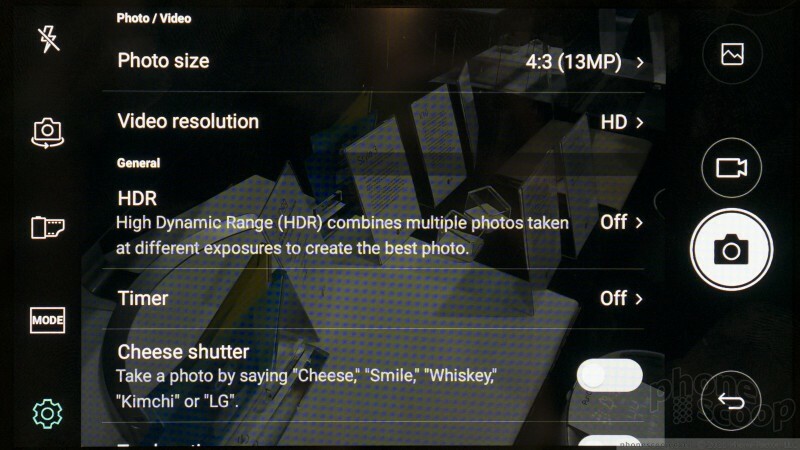 Unfortunately, it's a notable step down in hardware quality. 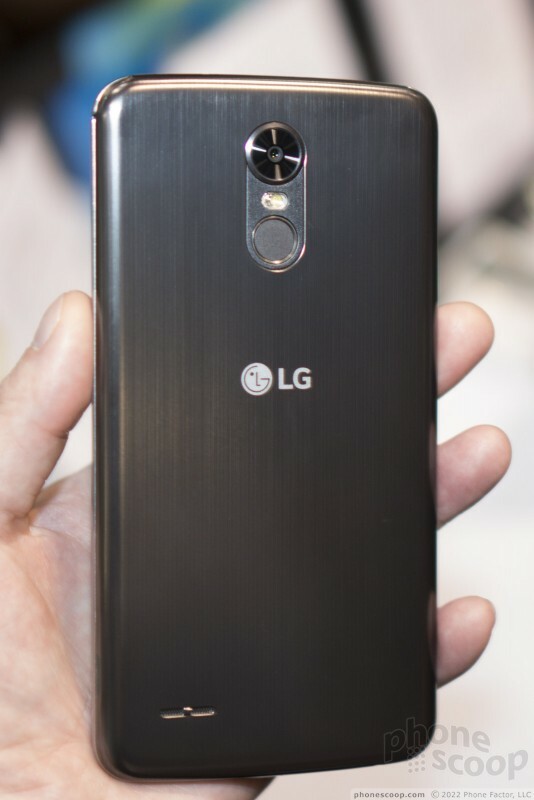 It's the kind of design where you can tell someone at LG tried really hard to "class it up" with the design, but perhaps tries too hard. It's a generic design with random flourishes that reminds me more of random no-name Android phones from seven years ago. 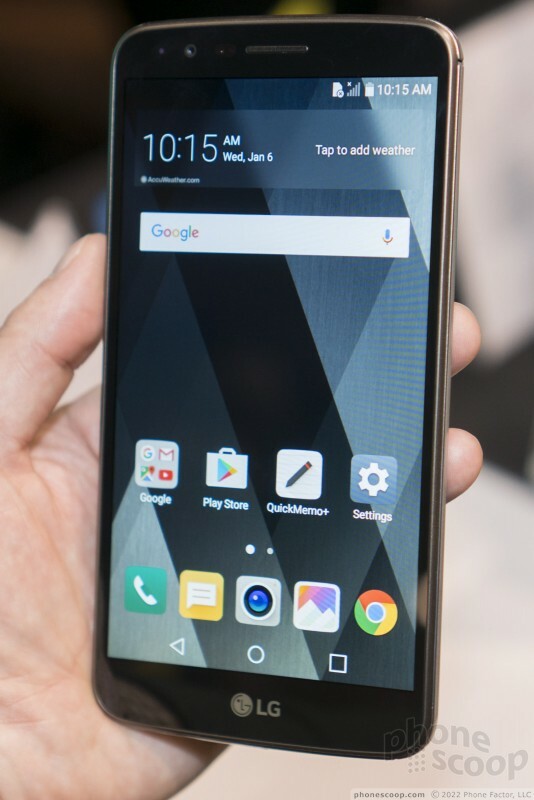 When you look at it from the front or back, it's a fine-looking phone. You won't be embarrassed to carry it. But neither will you forget that it's an "affordable" phone when you hold it. The edges have odd details that both feel cheap, and look cheap up close. As with the K10, there is a memory card slot and you can pop out the battery. In sum, the Stylo 3 will probably continue to offer a decent value, but we're not thrilled with the physical design of this installment. 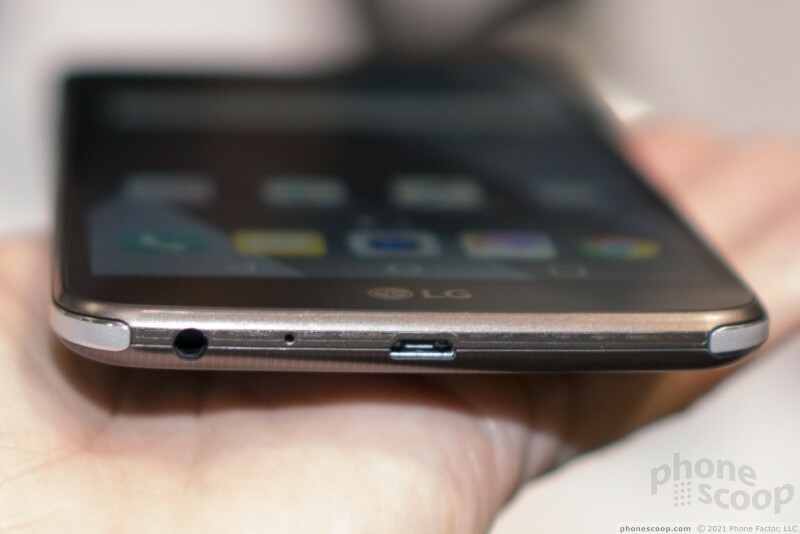 LG's third-generation Stylo for Boost Mobile includes a large screen, stylus, big battery, and advanced software. This mid-range Android handset delivers an uneven experience, but there's middle ground to appreciate. 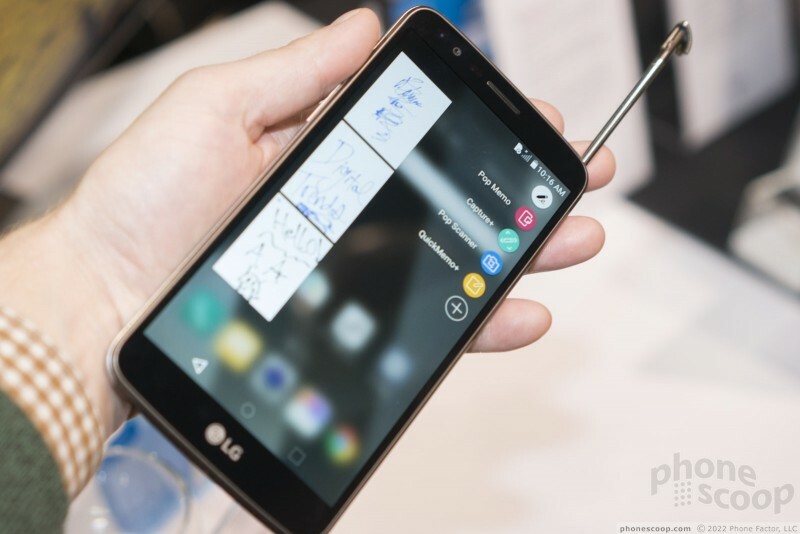 LG today announced the LG Q Stylus, a mid-range entry that packs a stylus for pen-based input for those who prefer that way of interacting with their device. 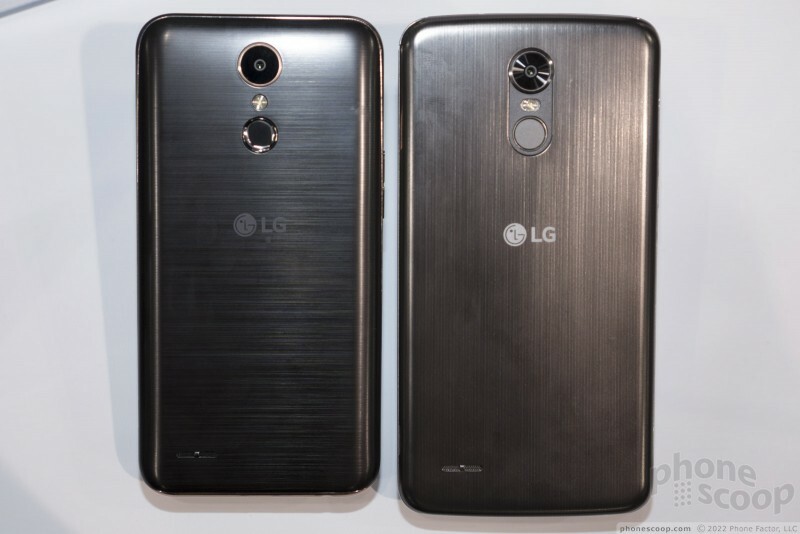 The phone has a 6.2-inch screen with LG's 2:1 Full Vision (2,160 x 1,080) resolution.